Those who think I am proud...for one reason or the other.. Am sincerely sorry for creating such an impression ! Pls forgive me. Those who think I've ignored them... am really sorry. Pls forgive me. Those who felt offended by my attitude or character during or before this year... I apologize.. Pls forgive me. All those who I didn't visit or call during this year... 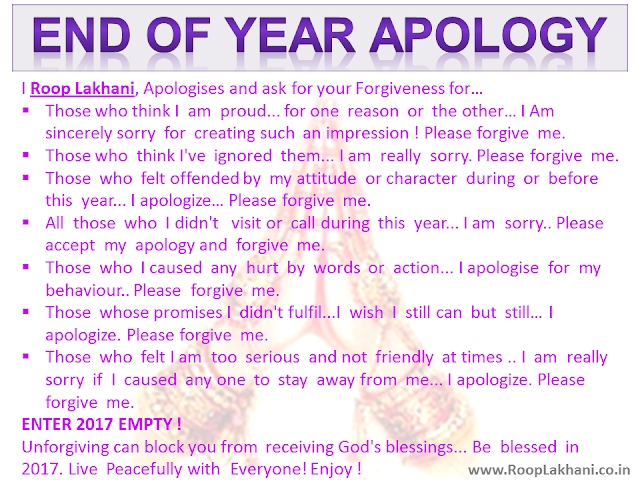 I am sorry.. Pls accept my apology and forgive me. Those who I caused any hurt by words or action... I apologise for my behavior.. Pls forgive me. 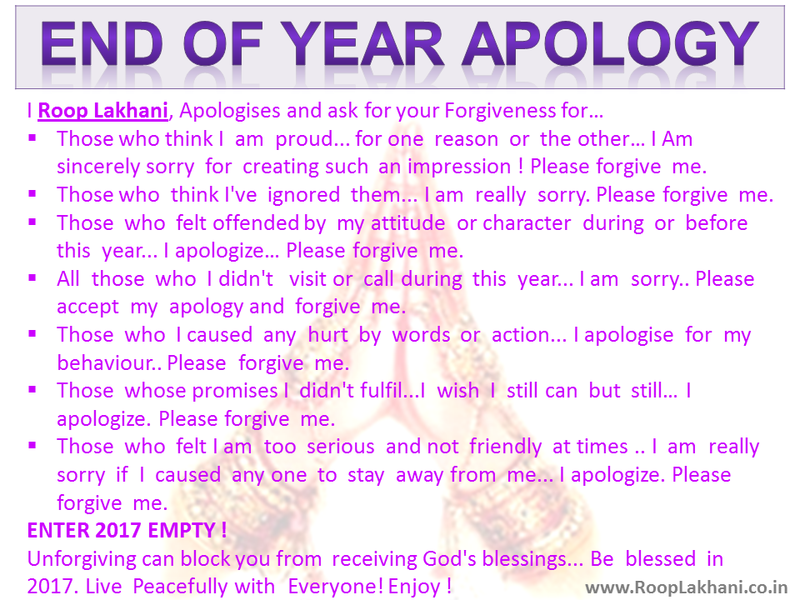 Those who felt I am too serious and not friendly at times ..I am really sorry if I caused any one to stay away from me... I apologize. Pls forgive me. Live Peacefully with Everyone ! Enjoy !